You do not want to know my dreams..
That's sad, that's really sad. I think I've heard of Vampire Knight before. That's a lot of... stuff. So tell me, what are your favorite comic books? I should watch Vampire Knight and Death Note again sometime. Of course. The works would be a greyer place without videogames... and cartoons. Sounds like you know what to have for Breakfast. Archie Andrews? No, Archie isn't homeschooled. What cartoons do you like? Do mean like the Simpsons, or stuff like Avatar? ...You've never heard of the Archie comics? Well, someone loves wolves. I like them, too. 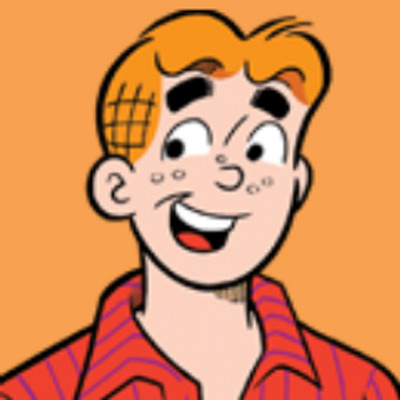 Archie Andrews is a red head stuck in an eternal... no, scratch that, a long lasting love triangle between two lovely ladies. I also like Cartoons and video games!Don't know about anime though. Who doesn't like Ed,Edd and Eddy? I don't really like MLP. I don't see why so many guys like it. Now that a picture has been posted, I remember him. I only heard of him once a long time ago, so his name didn't ring a bell off the top of my head. @Veeflames I don't know if you've heard, but the author told which girl he chose. Homeschooled eh? So there aren't any schools where you live? Who knows. Well it's the best Final Fantasy. That's for sure.